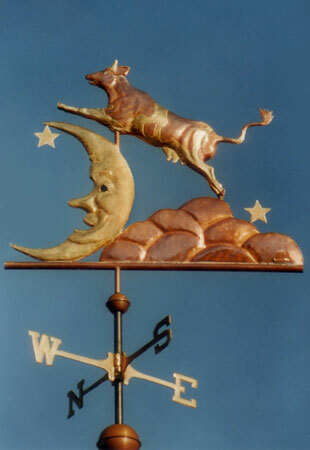 This Cow Jumping Over the Moon Weather Vane is a favorite in our Story Book series. The original design was commissioned by a mother with two young children. Each child was allowed to pick their favorite storybook character. The other selection was a Mary Poppins Weather Vane. The children’s two weathervanes sit on dormer windows side by side above their bedrooms and play together in the wind. Another special storybook weather vane pairing was the Cow Jumping over the Moon combined with our Dish Running Away with the Spoon. 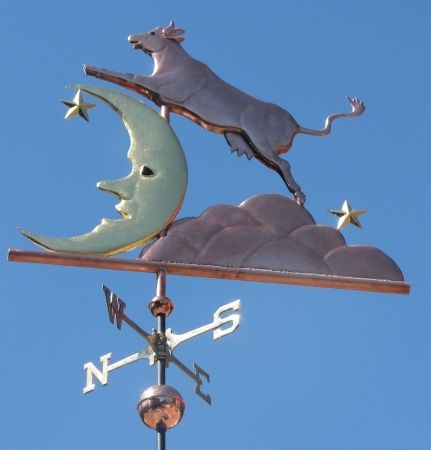 When customers order two weather vanes at the same time we offer a discount of 10% on each weathervane. As portrayed here there is optional gold leaf on the moon, the two stars, and the markings on the cow. 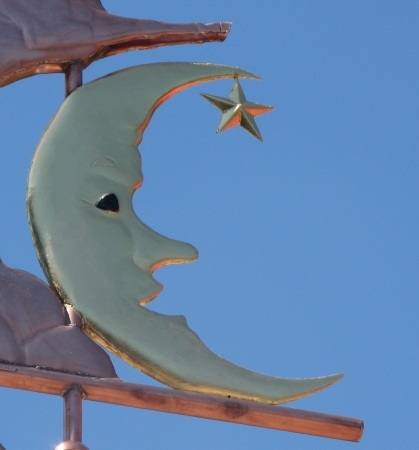 Another option is to use palladium leaf to give the moon a silver moonlight shimmer as the copper darkens with age. The ‘Man In the Moon’ comes with your choice of colored translucent glass eyes. 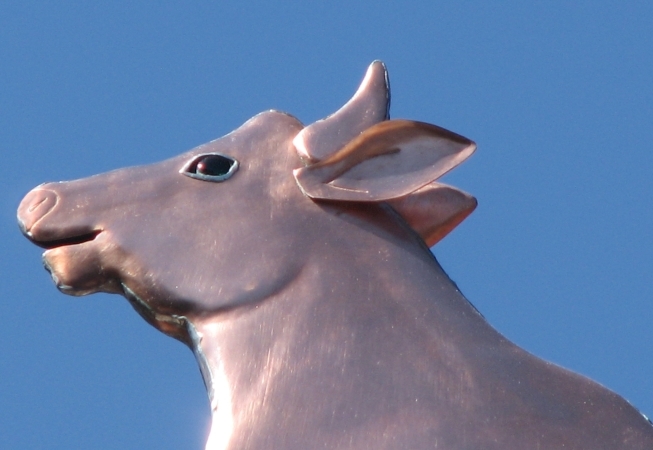 We typically make the cow with brown eyes and black pupils to give it a more lifelike and animated appearance. 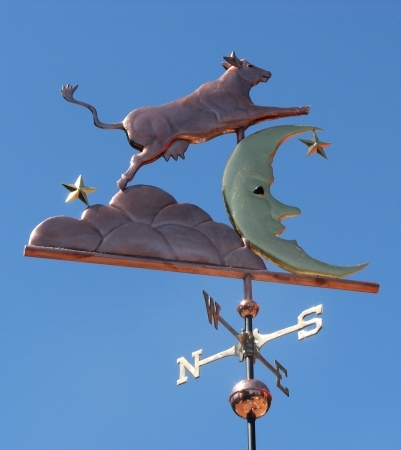 In the case of the Mary Poppins and Cow Jumping Over the Moon weather vane order we added “lucky pennies” from the year that each of the children were born and stamped their names and birth years onto their weather vanes. Some day, they may just hand these weathervanes down to their grandchildren and tell them about the pennies that were put inside them for good luck!